Transformer Mentality | I'm T.O.U.G.H. Enough! ← Say What You Mean and Mean What You Say! A few months ago I began having a conversation with my godsons. I asked them about one of their favorite movies, Transformers. They excitedly told me what the plot was, who the key characters were, and what the final outcome was. The more I listened, the more intrigued I became. I then asked them who their favorite characters were. Jayson quickly responded by saying Sam! When asked why, he said, because Sam is actually human and the Transformers listen to him. Jaedyn said Bumble Bee, no, Optimus Prime. His reason was because Optimus Prime always knew what to do and he was a great leader. So of course I ended up watching the movie. I had to see for myself. One thing that I took notice to in the movie was the fact that as regular cars or trucks the Transformers had no real power. It wasn’t until they actually transformed into autobots that they could fight off and defeat the “bad guys” who were trying to destroy the earth. 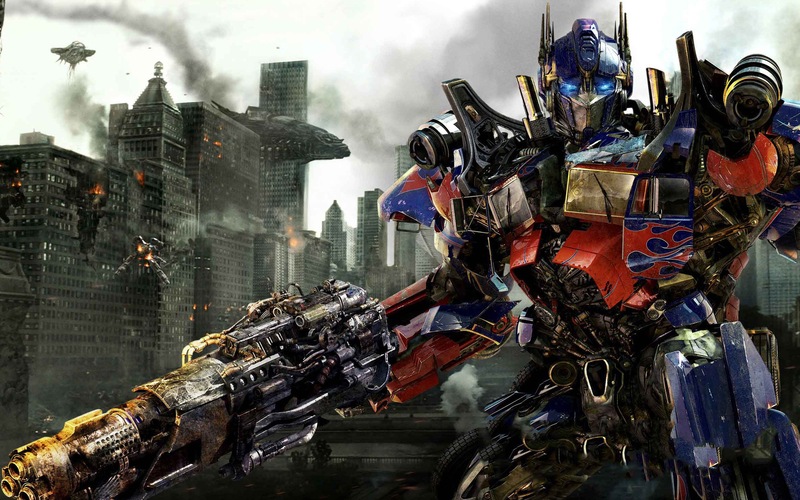 The transformers understood that everything they needed to save the world was already inside of them, but they couldn’t save the world in the state they were in. Once they transformed, they recognized what they possessed. Once they transformed they were able to use what was already there to bring down the enemy. We are the same way. It isn’t until we allow our minds to be transformed that we realize and can walk in the power or authority that God has given us. Once we realize what is in us, we will begin to utilize what He placed in us to bring down the plots and the plans of the enemy! So instead of always asking someone to pray for you, you pray heaven down on your own behalf. Instead of waiting on someone else to give you an encouraging word, you speak to your own spirit and encourage yourself. Instead of running from a fight with the enemy, you put on your armor and you run to the fight! Now the autobots aren’t the only ones that went through a transformation. Sam, the human, had to transform as well. In the beginning of the movie Sam didn’t see anything special about himself. When he first saw Bumble Bee (his car) transform, he was terrified! However as the movie continued, not only did his fear jump out the window, but Sam embraced the fact that he had what it took to get the job done. Have you grasped hold to the fact that you actually have what it takes to get the job done? Today I’m here to simply encourage you to take on the transformer mentality. Every fear, doubt, worry, or concern that may be attempting to rise up in you, all you have to do is let God “transform” you! Allow God to change your mind and perspective so that you can comprehend all that you need to accomplish what He has called you to do is already inside of you. All you have to do is tap in and use it. Don’t fight the transformation. Let it happen! I’m so glad that you were blessed by this post! God is truly amazing! Thank you for your support and be sure to follow the blog!